Rebirth This painting was inspired by a powerful meditation weekend. 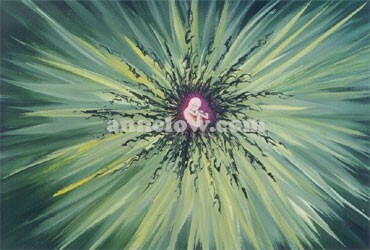 It symbolizes the arrival of the millenium when strong positive changes will occur. A more refined energy will expand within everyone and infuse us with an increased sense of awareness. This awareness will lead to a rebirth of spirituality.